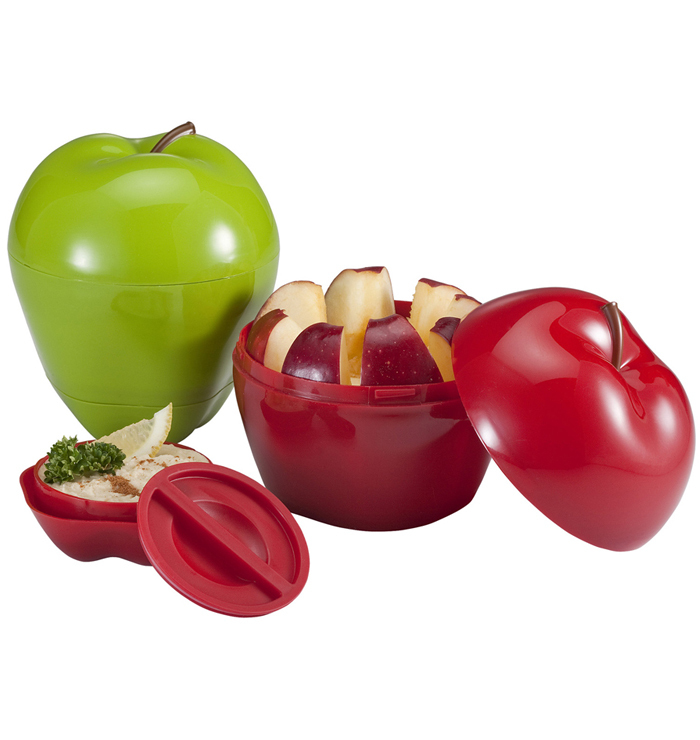 Carry apple slices and your favorite dip for healthy snacking on-the-go. Great for apples & peanut butter or apples & caramel. 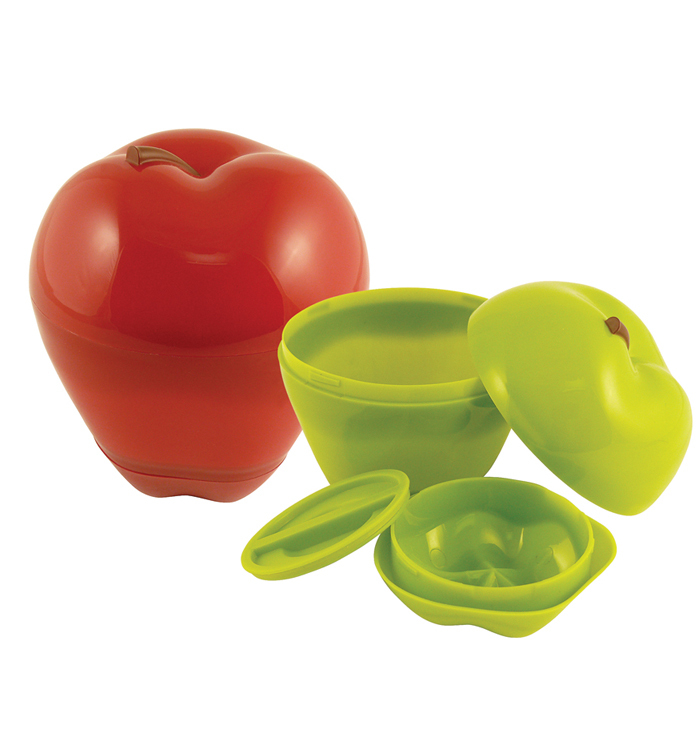 Set consists of apple container with lid and dip container with lid. All attach together for easy transport. Good for you, good for your wallet, good for the planet. 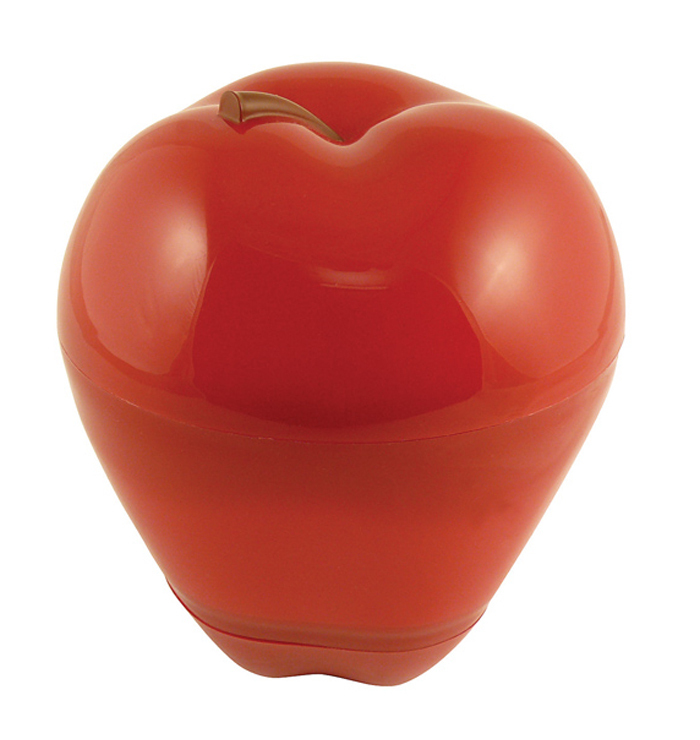 BPA Free, Dishwasher Safe, Reusable, Recyclable.